Bugatti had barely unveiled its new sports car when the vehicle was purchased by a mystery buyer for an unprecedented €16.7 million ($19 million). The new supercar, named La Voiture Noire, was publicly debuted on Tuesday at the Geneva International Motor Show in Switzerland. The amount spent by an unknown German on the new most-expensive car ever built could buy over 500 Tesla Model 3s. The automaker produced only one example of La Voiture Noire to celebrate Bugatti’s 110th anniversary. According to the company, the six-tailpipe “hypercar” is equipped with an eight-liter engine that has 16 cylinders and 1500 brake horse power. The new vehicle is reportedly a homage to Bugatti’s legendary Type 57 SC Atlantic, which was produced in the 1930s. The company hasn’t revealed the name of buyer who snapped up La Voiture Noire. However, several sources in the industry told CNBC that the luxury auto was purchased by former Volkswagen Group chairman Ferdinand Piech, who is known for his collection of high-performance cars. According to Bugatti, La Voiture Noire is “more than a modern interpretation” of the old Type 57 SC Atlantic, of which only four units were ever produced. The Type 57 SC Atlantic is seen as the most famous work of Jean Bugatti, the son of the company’s founder, Ettore Bugatti. “The Atlantic is one of the icons of BUGATTI’s rich history. At the time, this coupé was unique in its elegance, quality and performance, and it remains so today. A luxurious hyper sports car. For us, both an inspiration and obligation at the same time,” says Stephan Winkelmann, President of BUGATTI. In terms of exclusivity, performance and luxury, the new “La Voiture Noire” is every inch the equal of Jean Bugatti’s masterpiece. It is the perfect manifestation of BUGATTI’s cornerstones: “dynamic, luxury and elegance”. “La Voiture Noire” is an opus of elegance and finesse. Purism and elegance are reflected in every surface and continued into each minute detail. The windscreen seems to flow seamlessly into the windows like the visor on a helmet. The newly designed bumpers are smoothly integrated into the body. Clear lines guide the eye subtly over the surface, which seems to blend into a single piece. With its extended front end and the distinctive BUGATTI Signature line, “La Voiture Noire” creates an elongated impression. 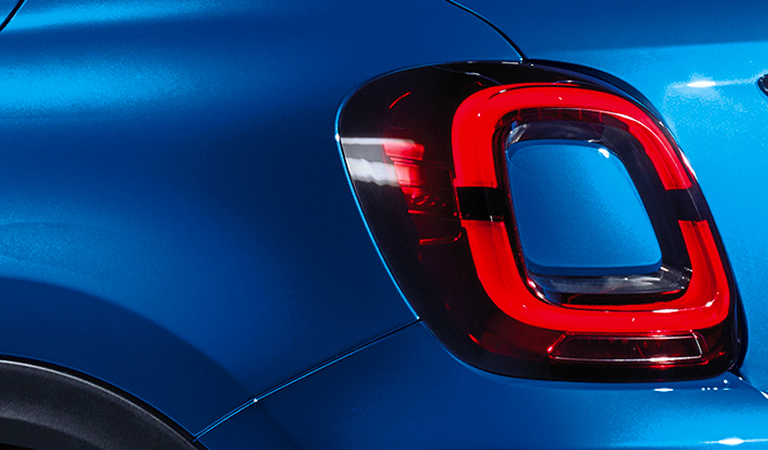 Its elegant waistline accentuates the coupé’s contours. At the rear, six tailpipes bear witness to the incredible power of “La Voiture Noire”. 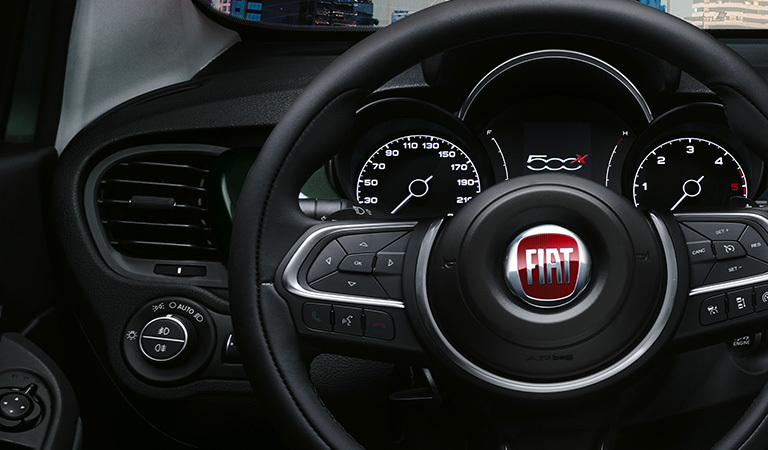 Subtly incorporated into the overall appearance, they hint at the strength of the car’s heart, the iconic 16-cylinder engine. The fin running down the centre of “La Voiture Noire” echoes the Atlantic’s legendary dorsal seam. It is a unique symbiosis of history and modernity, which subtly runs into the flowing lines of the perforated rear. Each component has been crafted by hand, accentuating the level of BUGATTI’s manufacturing quality. 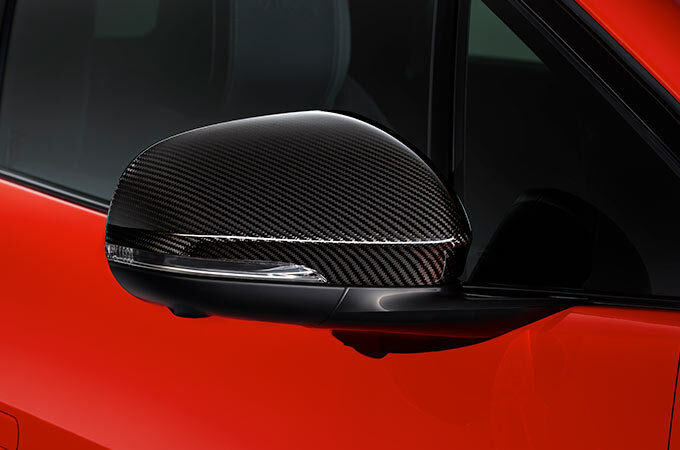 The carbon fibre body has a deep black gloss, interrupted only by the ultrafine fibre structure. Perfectly harmonised materials merge with the finish to leave the surface gleaming vividly. Created according to the maxim, “elegance through minimalism and refinement through intensification”, “La Voiture Noire” raises the bar far beyond imagination. The exclusive one-off is a breathtaking example of automotive creativity and artistry, and delivers spectacular proof of BUGATTI’s ability to build the world’s strongest, most luxurious and exclusive hyper sports cars. The wheels exemplify the car’s potent appearance. A special programme was used to calculate the optimal material thickness for the alloy wheels during construction. The extent of BUGATTI’s manufacturing quality can be seen with the characteristic tail lights, which just like the main headlights, are specially made and fitted by hand in BUGATTI’s Molsheim atelier. Centrepiece of “La Voiture Noire” is its beating heart, the iconic 16-cylinder engine. This technical masterpiece is unique in the automobile world and a true mechanical highlight. The 16-cylinder, eight-litre engine delivers 1,103 kW/1,500 PS and 1,600 Newton-metres of torque. Like his father Ettore, Gianoberto Mario Carlo Bugatti, named Jean, was a visionary, far ahead of his time. Ettore’s eldest son was a gifted car designer with a rare feel for proportions and aerodynamics. From the late 1920s onwards, he influenced the development of the company with his own stylistic ideas and designs, before assuming responsibility for management in 1936 at the age of 27. Jean was responsible for creating numerous classics for the legendary brand. With his pioneering designs for bodies, engines and chassis, he created some extraordinary vehicles until his tragic death in an accident in 1939, securing his place as a visionary artist in the history of the automobile. Like the company itself, Jean would have been 110 years old this year. Jean Bugatti’s most beautiful and famous design is the Type 57 SC Atlantic Coupé – perhaps the greatest of BUGATTI’s legends. Already at the time, its body was spectacularly eye-catching and unique. Its standout design feature is the protruding dorsal seam, which runs like a razor-sharp fin vertically from the hinge in the split bonnet through to the rear end. The three remaining Atlantics are among the world’s most expensive and desirable classic cars. The whereabouts of Jean Bugatti’s personal “La Voiture Noire” are still unknown – the automotive equivalent of the Amber Room. It is thought the car disappeared during the Second World War, sent to a safe region before the German troops invaded Alsace. Its disappearance more than 80 years ago remains the biggest mystery in BUGATTI’s fabled history. Today, “La Voiture Noire” lives on as a myth. With the new “La Voiture Noire”, BUGATTI has created a car that takes up that legend and carries it forward to the present day. In its exclusiveness, style, quality and performance, “La Voiture Noire” is an unprecedented creation that continues Jean Bugatti’s legacy in striving for unprecedented elegance and technical perfection. * * * Bugatti, the French sports car brand that is now owned by German automaker Volkswagen, has revealed the most expensive new car ever built. With a sale price of 16.7 million euros ($19 million), the Bugatti La Voiture Noire was publicly debuted Tuesday at the Geneva International Motor Show in Switzerland. Automobiles Ettore Bugatti was a French car manufacturer of high-performance automobiles, founded in 1909 in the then-German city of Molsheim, Alsace by the Italian-born industrial designer Ettore Bugatti. The cars were known for their design beauty and for their many race victories. Famous Bugattis include the Type 35 Grand Prix cars, the Type 41 “Royale”, the Type 57 “Atlantic” and the Type 55 sports car. The death of Ettore Bugatti in 1947 proved to be the end for the marque, and the death of his son Jean Bugatti in 1939 ensured there was not a successor to lead the factory. No more than about 8,000 cars were made. The company struggled financially, and released one last model in the 1950s, before eventually being purchased for its airplane parts business in 1963. In the 1990s, an Italian entrepreneur revived it as a builder of limited production exclusive sports cars. Today, the name is owned by the Volkswagen Group. Volkswagen AG acquired the Bugatti brand in 1998. Bugatti Automobiles S.A.S. commissioned Giorgetto Giugiaro of ItalDesign to produce Bugatti Automobiles’s first concept vehicle, the EB118, a coupé that debuted at the 1998 Paris Auto Show. The EB118 concept featured a 408-kilowatt (555 PS; 547 bhp), W-18 engine. After its Paris debut, the EB118 concept was shown again in 1999 at the Geneva Auto Show and the Tokyo Motor Show. Bugatti introduced its next concepts, the EB 218 at the 1999 Geneva Motor Show and the 18/3 Chiron at the 1999 Frankfurt Motor Show (IAA). Bugatti Automobiles S.A.S. began assembling its first regular-production vehicle, the Bugatti Veyron 16.4 (the 1001 PS super car with an 8-litre W-16 engine with four turbochargers) in September 2005 at the Bugatti Molsheim, France assembly “studio”. On 23 February 2015, Bugatti sold its last Veyron Grand Sport Vitesse, which was named La Finale. The Bugatti Chiron is a mid-engined, two-seated sports car, designed by Achim Anscheidt, developed as the successor to the Bugatti Veyron. The Chiron was first revealed at the Geneva Motor Show on March 1, 2016. This week at the Geneva Motor Show, Bugatti is also unveiling a special edition of the Chiron: the Chiron Sport “110 ans Bugatti.” Twenty have been manufactured, and they’ve all sold for a net price of €3 million ($3.4 million). 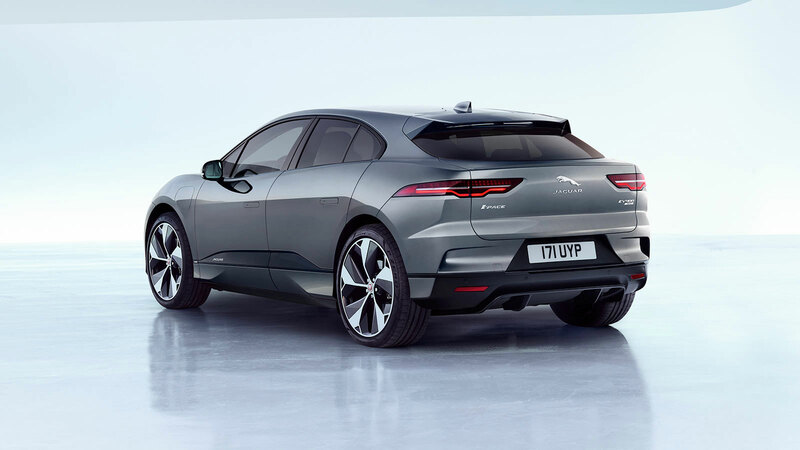 Jaguar’s I-Pace battery-electric SUV has won the 2019 Car of the Year award in an incredibly tight contest between it and Renault‘s Alpine sports coupé. Formal voting ended with each car sharing 250 votes apiece; the first time there’s been a draw in the Coty award since it was started in 1964. In keeping with the rules, the votes were then recounted to see which of the 60 jurors voted each car ahead of the other; with that recount done, the Jaguar came out first with 18 first places ahead of the Alpine’s 16. This is the first Jaguar to win the award in the Coty’s 55 years and a visibly delighted Ian Callum, Jaguar’s director of design, received the award from jury president Frank Janssen. The voting on the seven-strong shortlist was close, with five models taking the lead in the voting announcement which is done in the style of the Eurovision Song Contest, with each country announced at a time in alphabetical order. As well as the Jaguar and the Alpine, Ford‘s Focus, Citroën‘s C5 Aircross and Kia’s Ceed hatchback each held the lead during the count and when the vote went to the last country, the UK, with six judges including yours truly, the leading vehicle was Kia’s Ceed with 234 votes. 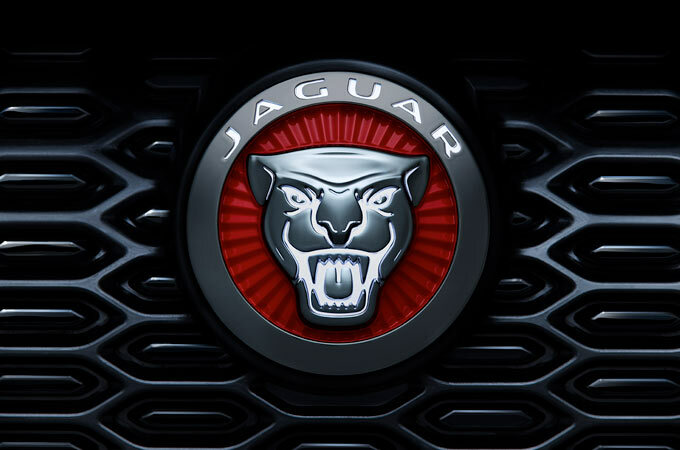 * * * Every Jaguar vehicle feels like no other car on the road. Moving to all-electric power doesn’t change this. 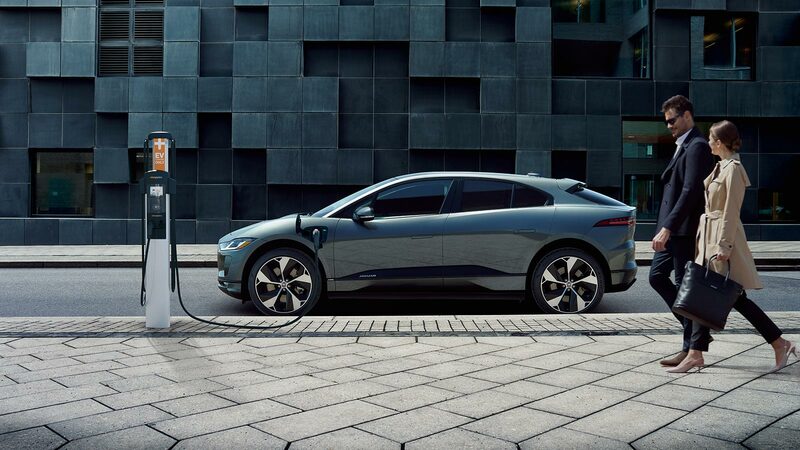 Built from the ground up, the New Jaguar I‑PACE is a pure Battery Electric Vehicle (BEV). Thrilling to look at and drive. 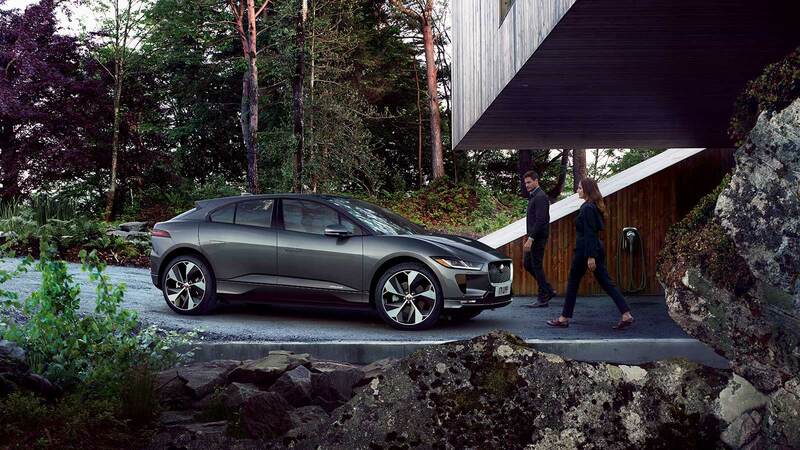 * * * The I‑PACE has a compact footprint from the outside but exceptional space within. There are five full seats, innovative storage, a substantial rear cargo space of over 25.3 cubic feet and 0.95 cubic feet in the front storage compartment. 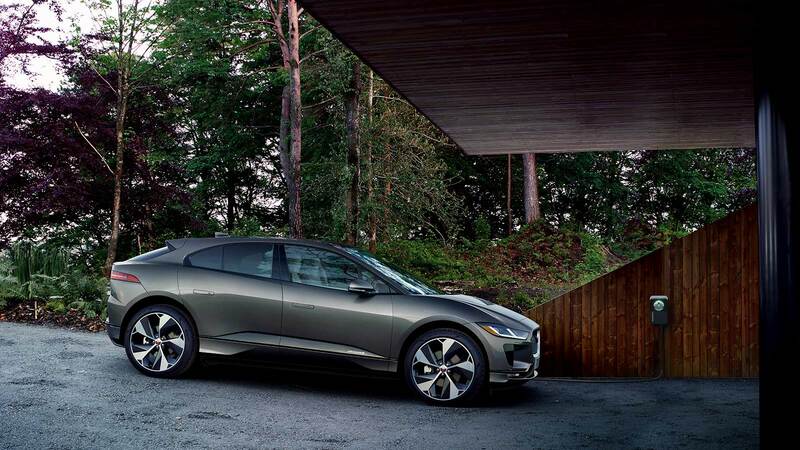 * * * The I‑PACE is propelled by two permanent magnet synchronous electric motors. Similar to the technology found in the I‑TYPE Formula E racing car, these motors generate 394 HP and 512 Lb-Ft of torque. 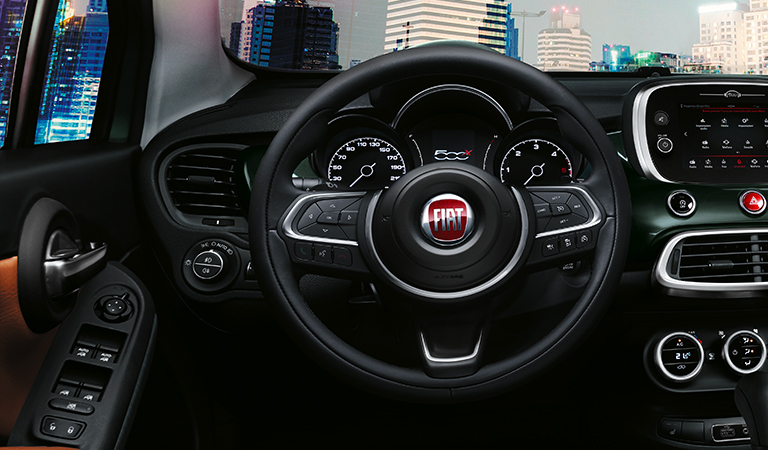 Thrilling to look at and drive, easy to live with and connected like never before. Make it yours today. 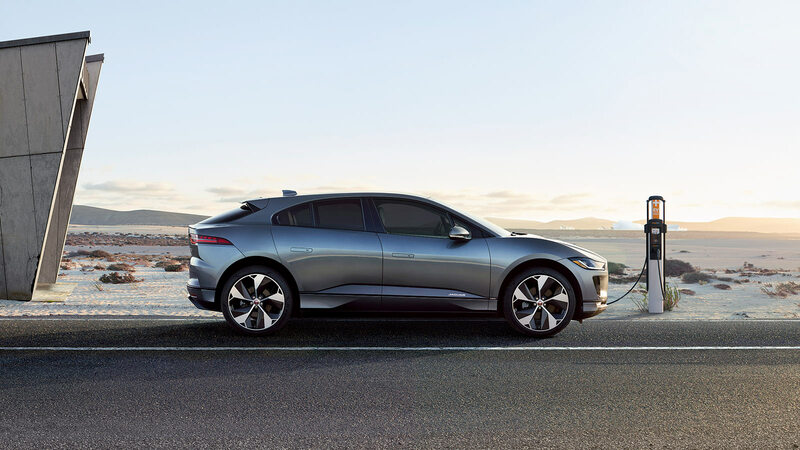 * * * Featuring an elegant, highly aerodynamic design with a low-drag coefficient of 0.29 Cd, the I‑PACE has been created to provide efficiency by slicing cleanly through the air for maximum range and stability. 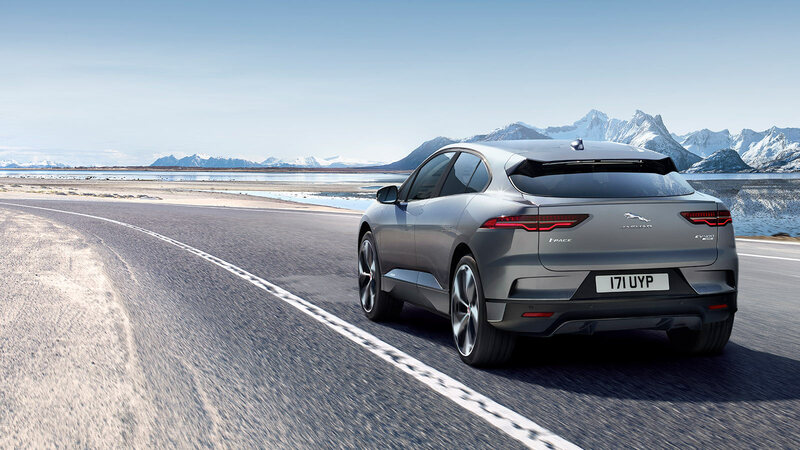 The I‑PACE offers excitement from every angle thanks to its flowing waistline, dramatic hood scoop and signature rear haunches. 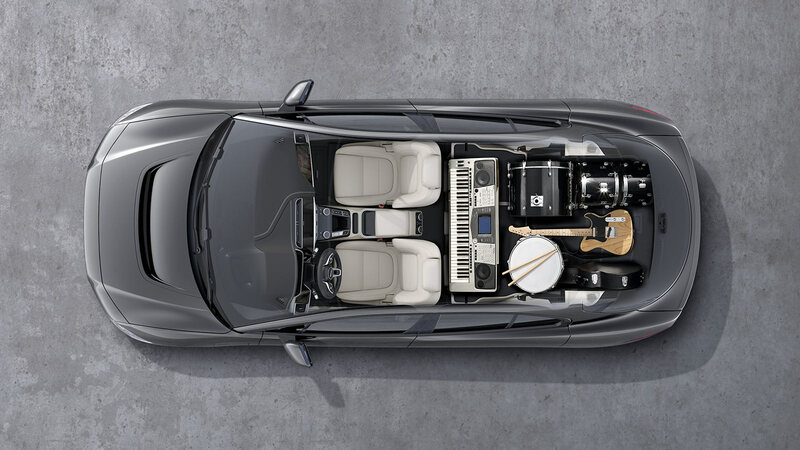 * * * The I‑PACE seamlessly integrates technology and abundant space. The interior design is clean and uncluttered, with tactile features and sweeping lines. 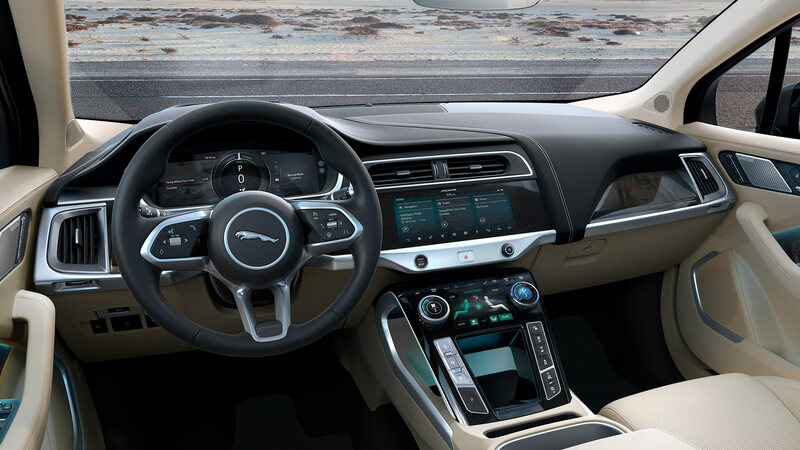 The nature of the electric powertrain offers additional space, providing more freedom to maximize the comfort provided by the I‑PACE interior. * * * A hyper‐modern form with advanced driver assistance features. 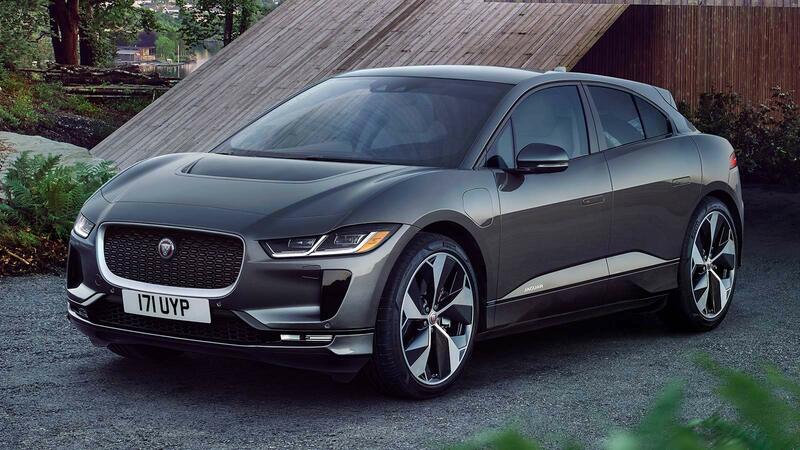 * * * The height of I‑PACE technology and electric luxury in an assertive, exquisitely styled package. 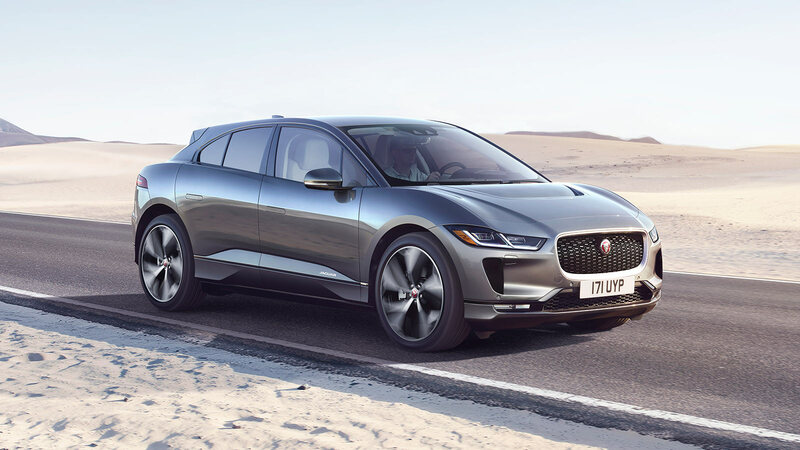 * * * With exclusive design details and high specification features as standard, the I‑PACE First Edition captures the spirit of the I‑PACE Concept. 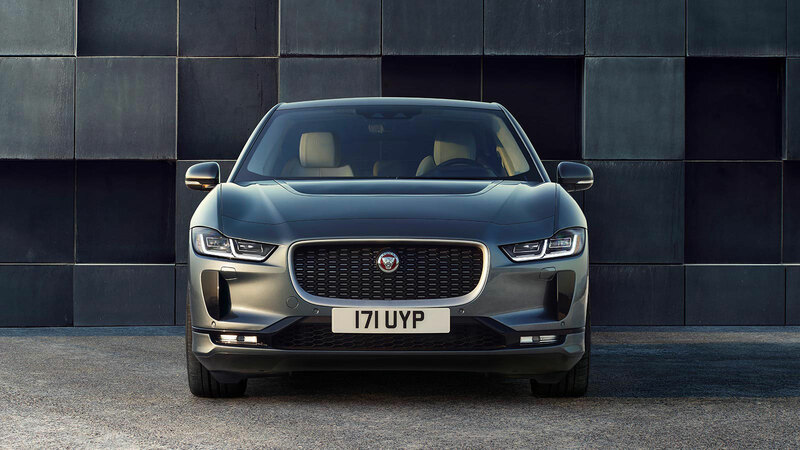 European Car of the Year 2019 award will provide a much-needed boost for JLR, which has recently laid off workers and has suffered poor sales of its conventional-engined models. It will also reinforce a new direction for the company to concentrate on battery electric vehicle in future. 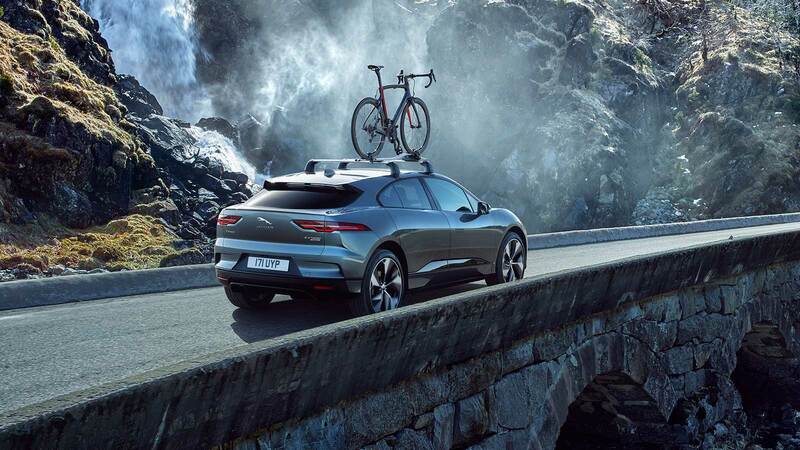 The zero-emission SUV from Jaguar and the lightweight sports car produced by Alpine of France beat the Ford Focus into third position. Then came the Citroen C5 Aircross, the Peugeot 508, the Kia Ceed and the Mercedes A-Class. The European Car of the Year award is a long-running institution established in 1964 as the definitive award for car buyers on the Continent. Each year, a jury of 60 expert voters from 23 European countries convene to choose a single winner from all the mainstream cars recently released in Europe, regardless of their country of origin. Every jury member has 25 points to distribute among the shortlist, and must award points to at least five cars. He or she may not award more than ten points to any one car, nor may he or she award ‘joint first’ to two models. These votes made public, as are the jury member’s reasoning behind them. 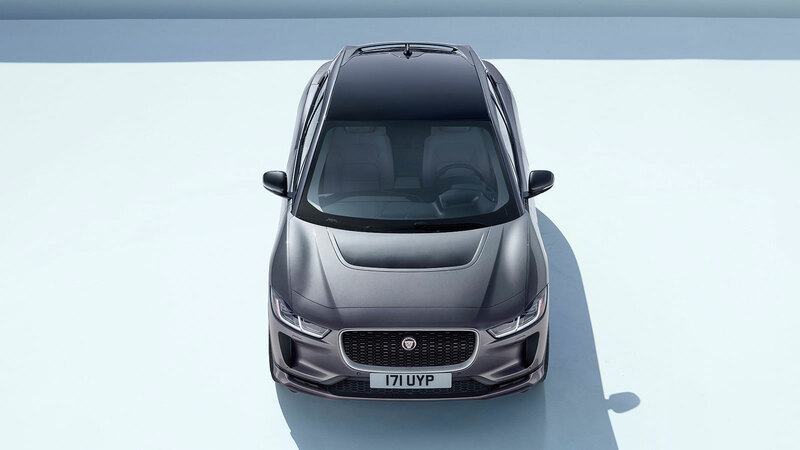 * * * With the exceptional collection of options and Jaguar Gear, you can create the finest I‑PACE in the world: Yours. 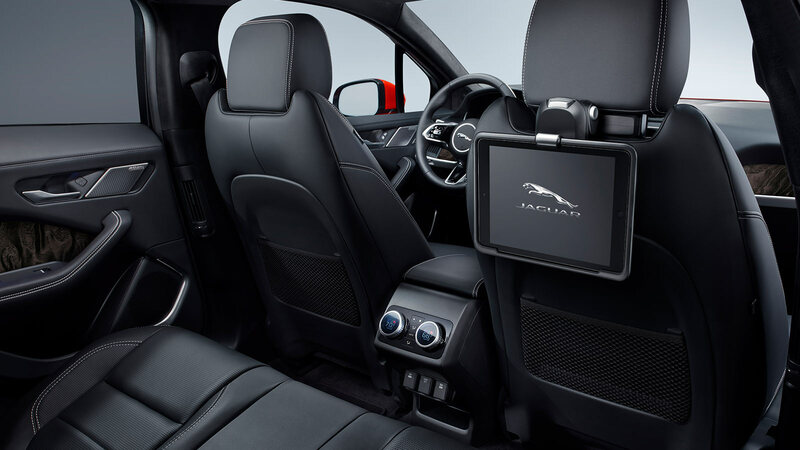 aguar vehicle accessories and options let you personalize the I‑PACE according to your taste, your lifestyle and your interests. The most popular are grouped into three convenient packages: Exterior Carbon Fiber Package, Black Exterior Package and Cold Climate Package. 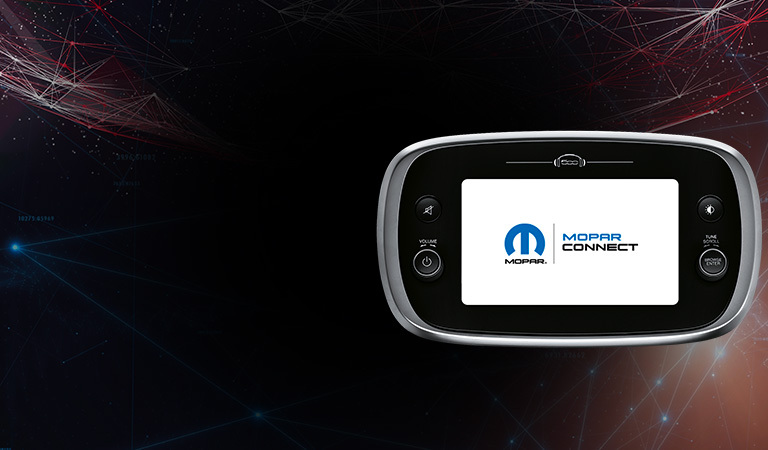 Build your own I‑PACE and browse the online accessories catalogue to view the full range. 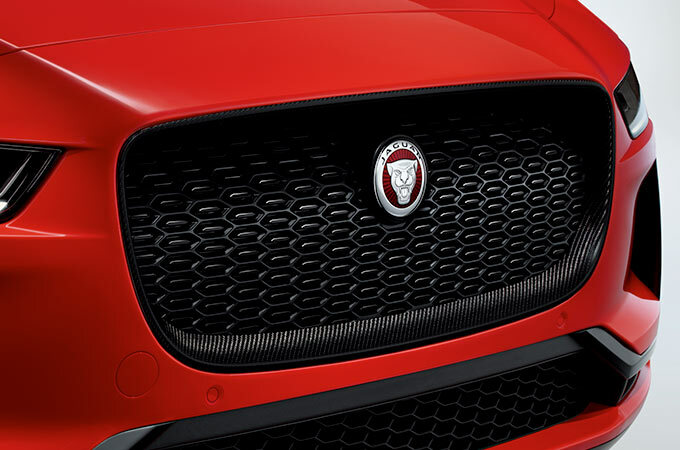 The optional illuminated front grille badge creates stunning exterior styling. 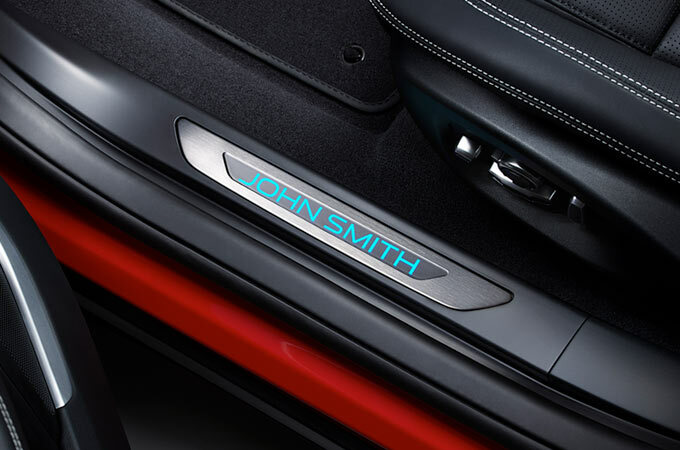 The badge illuminates when the I‑PACE is unlocked, when the vehicle’s doors are open and the interior lights are on. The illumination goes out when the vehicle is started. * * * Click and Go is a compact storage system that fits on the back of the front seat headrests. 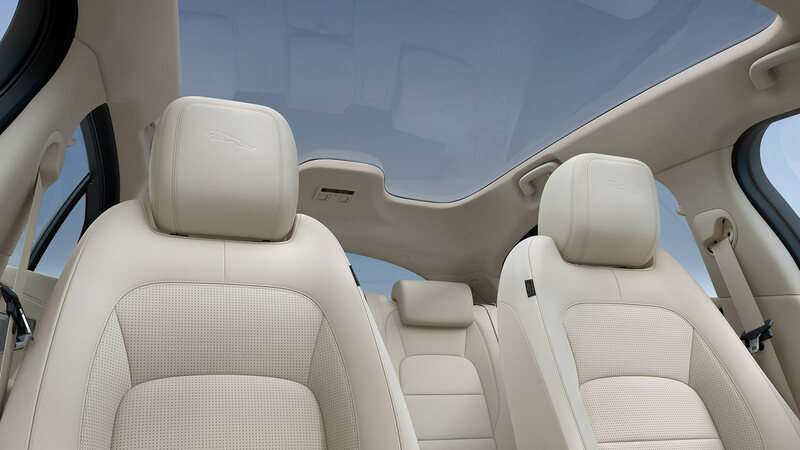 It includes a headrest mounted coat hanger to help keep clothes wrinkle free. 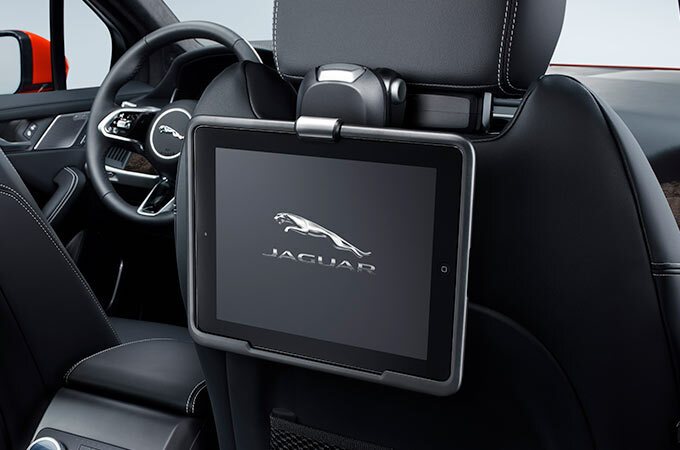 For rear entertainment, a removable tablet holder can be easily positioned at multiple angles. Click and Hook is a universal hook that creates extra storage space to hang items such as bags. Designed to allow visibility of your phone* while charging, the iPhone connect and charge dock utilizes the cup holder space in the central console. 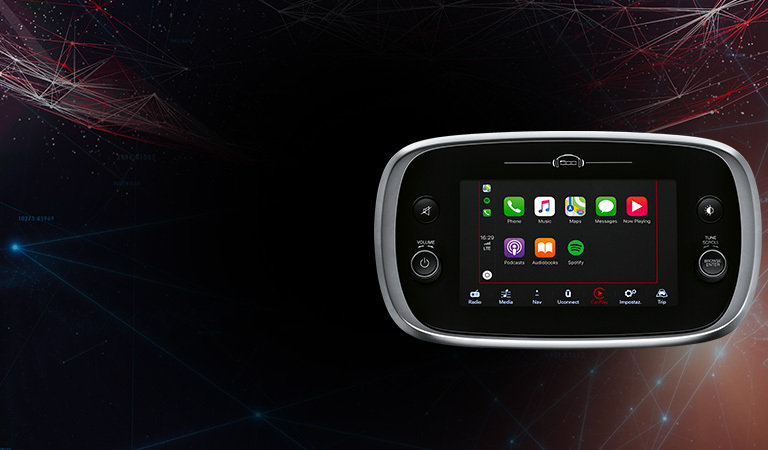 When connected, the iPhone’s media is accessible and has the ability to be controlled via the integrated in-car infotainment system. 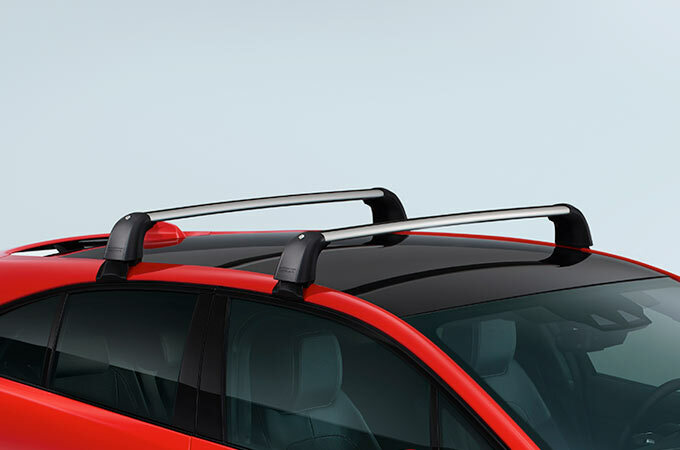 * * * Cross bars enable the use of a wide range of roof carrying accessories. 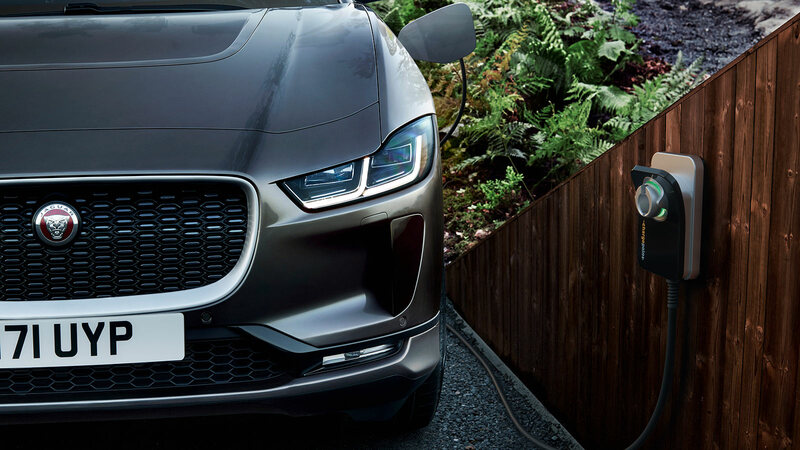 The I‑PACE cross bars feature a new and unique quick release mechanism allowing the cross bars to be easily fitted or removed without the use of tools. 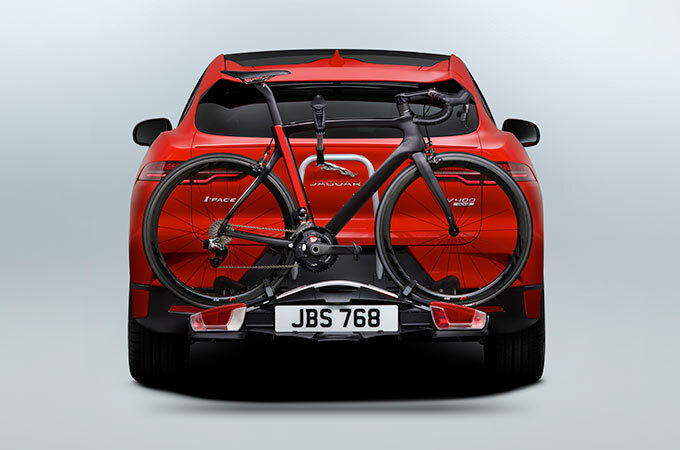 * * * An easy-to-fit, rear mounted, lockable cycle carrier for one bike. Maximum load capacity 66 lbs (maximum 2 x 33-lb bikes). 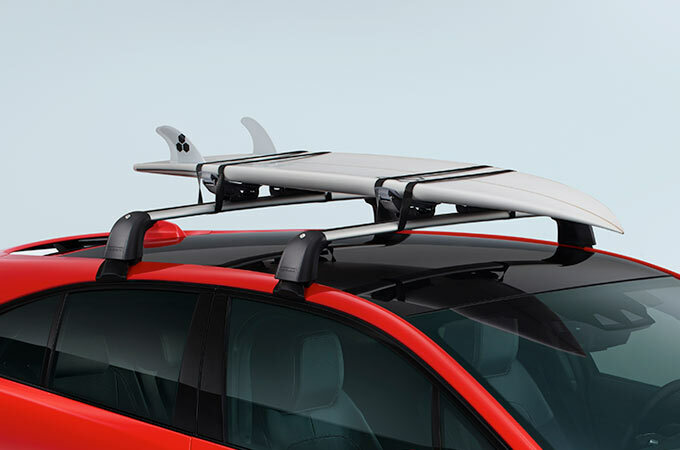 * * * A versatile system for transporting a variety of sports equipment including a surfboard, kayak or sailboard. What causes Northern Lights and other natural phenomena? Learn everything about exciting light phenomena like polar lights, whose shimmering colors may bring to mind the exclusive flip-flop paint finish on the BMW Concept M8 Gran Coupe. The eye-catching effects enhance the already stunning presence of the concept car, imbuing it with an incomparable aura. When lights whirl over the clear winter night sky north of the Arctic Circle, everyone raves about the fascinating spectacle. The polar lights are nature’s mystical show and appear when electrically-charged particles are transported over the earth’s atmosphere via a solar wind, thus activating a celestial extravaganza of light. 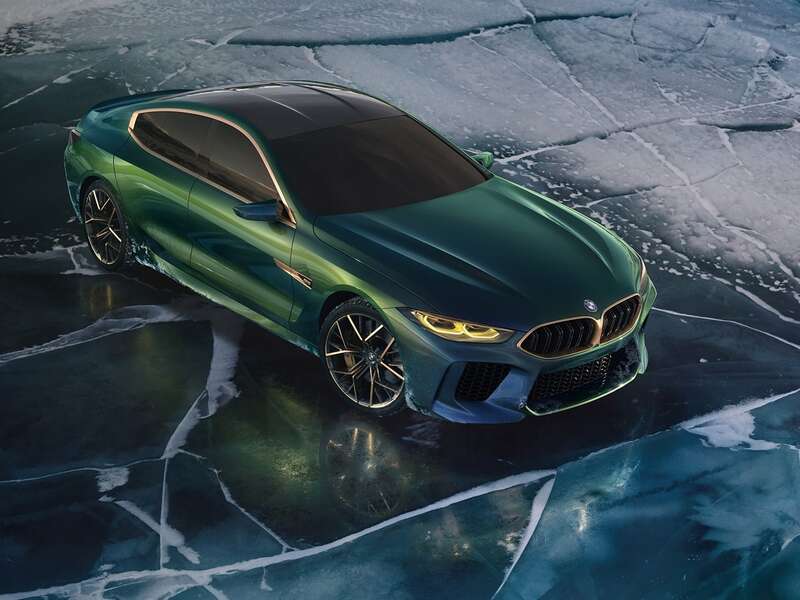 The typical colour of this celestial phenomenon ‘ also called the Northern Lights ‘ is a bright green ‘ which, like the ‘Saléve Vert’ on the BMW Concept M8 Gran Coupe, can change to a greyish blue. Polar lights also appear in red, violet, white and yellow. What many people don’t know: The Northern Lights can also be admired at the earth’s South Pole: the so-called Southern Lights. What looks like a scene from the movie ‘Avatar’ is in reality one of nature’s wonders. Microscopic algae fluorescently light up the water at night. Biologists call this light phenomenon bioluminescence. It can be observed, for example, on the beach of Mosquito Bay on the Caribbean island of Puerto Rico. Algae can produce glow through biochemical processes in special organs. But other living beings also have this ability. Fireflies, for example, communicate this way. In 2017, researchers actually succeeded in using enzymes to transform plants into natural light sources, which could replace conventional lamps in the future. The world-famous painting ‘The Scream’ by the Norwegian painter Edvard Munch is said to be inspired by the breath-taking glimmering of the polar stratospheric clouds. The phenomenon ‘ called ‘mother-of-pearl clouds’ ‘ arises from tiny ice crystals in the stratosphere, which are illuminated by the setting sun in the dark night sky. The rare colourful clouds form at temperatures of -78 degrees Celsius and can therefore only be admired near polar regions such as Alaska, Siberia and Norway. What looks to us like a supernatural halo in the sky is the fascinating light phenomenon of the ice crystal halos. Halos are formed by the reflection and refraction of light on tiny floating ice crystals in the air. The mysterious light-circles form in various shapes around the sun and moon and can be admired all over the world at any time of the year. Everyone has seen a colourful rainbow before. Much less common is a fog arch or white rainbow, whose light band is twice as wide. The fog arch is created when a fog wall of fine water droplets is illuminated by sunlight and the light is reflected when entering and leaving. The fog arch can only be observed when the observer stands in front of the fog wall with his back to the sun. It can be found in a wide variety of places, but it is particularly frequent in peat bogs, mountainous regions or near the sea. What is flip-flop paint finish? In the BMW Concept M8 Gran Coupe, the luxurious flip-flop paint finish ‘Saléve Vert’ gives the vehicle an unusual appearance. The colour changes from green to greyish blue depending on the changing light, emphasising the expressive surfaces and contours of the vehicle, as well as underscoring its sporty and elegant look. By the way: there are also flip-flop paint finishes where not only the colour changes, but also the brightness. In addition to the automotive industry, flip-flop finishes are also used in the printing and cosmetics industry. High class. High performance. High expectations. Behold an unprecedented symbiosis between sophistication and athleticism. Drawing inspiration from the sophisticated 8 Series and the athleticism of the M8 GTE gran tourer, the BMW M8 Gran Coupe Concept unites the disparate worlds of modern luxury and classic motor racing. Intensely impressive. A glance at its profile leaves no doubt: the BMW M8 Gran Coupe Concept is a performance machine. The long hood, flowing roof-line, and shortened rear create an appearance of high-performance aggression and luxurious aspiration that’s simultaneously unique and unmistakable. Exclusive palette. The supremely striking impression of the BMW M8 Gran Coupe Concept is enhanced by the exclusive graduated paint finish Saléve Vert. Green and blue tones shimmer in an elegant interplay reminiscent of the Northern Lights, creating beautiful colors from every angle. Hug the road. Unique 21′ M light-alloy wheels make an unshakable impression. The star-shaped double spokes feature a two-toned gold and black finish ‘ a perfect offset to the iridescent colors of the BMW M8 Gran Coupe Concept. Racing heritage, luxury lineage. The twin traits of classic racing design and high class luxury are the very DNA of the BMW M8 Gran Coupe Concept. Hexagonal headlights evoke the muscular performance of the BMW M8 GTE; graceful, flowing lines from kidney grille to roofline recall the beauty of the BMW 8 Series. Challenge conventions. Achieving a new level of luxury and performance means taking risks, breaking norms, and daring to create the next level of the avant garde. With the BMW M8 Gran Coupe Concept, luxury has finally left its comfort zone. Welcome to a whole new era in pick-up trucks. The ISUZU D-MAX – toughness, redefined. Encompassing aggressive styling and levels of safety – plus ISUZU’s legendary durability and fuel efficiency – the ISUZU D-MAX strives ahead of its competition. Whether it’s hauling big loads, powering through the work week, cruising through the weekend or going where the others won’t, this is one pickup you can depend on. Put it to the test. You won’t be disappointed. ISUZU continues to build a reputation for diesel engines since developing Japan‘s first air-cooled automotive diesel engine in 1936. * * * In 2002, the D-Max was prepared for a world premiere in Thailand. This location was chosen because GM-Isuzu had recently decided to close their small truck assembly plant in Japan and move their joint operation to Thailand. The D-Max is available in various models. The Spark (single cab) (EX) is available only as a 4×2, with three configurations between cab chassis, long bed with power steering and without. SpaceCabs (extended cab), and Cab4s (double cab) can be divided into two major configurations: standard height 4x2s (SL, SX, SLX), and 4x4s (S and LS) with the “Rodeo” name instead of SpaceCab. Crew cabs are all sold with the same Cab4 name (Cab4 models became available late in last quarter). All are built and sold alongside the almost identical Chevrolet Colorado which had debuted in late first quarter of 2004. Hi-Lander 3.0 (lifted 4×2), trim style became available in late 2003, and ground clearance equals that of the 4×4 models. There are only two cab styles to choose between. This makes Isuzu the third manufacturer in Thailand to begin selling lifted 4×2 pickups (after Toyota and Ford). * * * The ISUZU D-MAX comes from a lineage of the world’s toughest, most reliable trucks. Almost a century of truck-manufacturing DNA has gone into the ISUZU D-MAX to deliver a pick-up that truly redefines the category. ISUZU’s ‘universal design’ concept drives development and inclusion of features that are intuitive to use, easy to reach and greatly improves occupant and driver convenience. The distinctive wider door arches on the ISUZU D-MAX make for easy access to the cabin offering generous head and leg room as well as comfortably designed seats for every occupant. An abundance of thoughtfully placed storage and cup holders complete the interior giving it a striking sense of design and function. 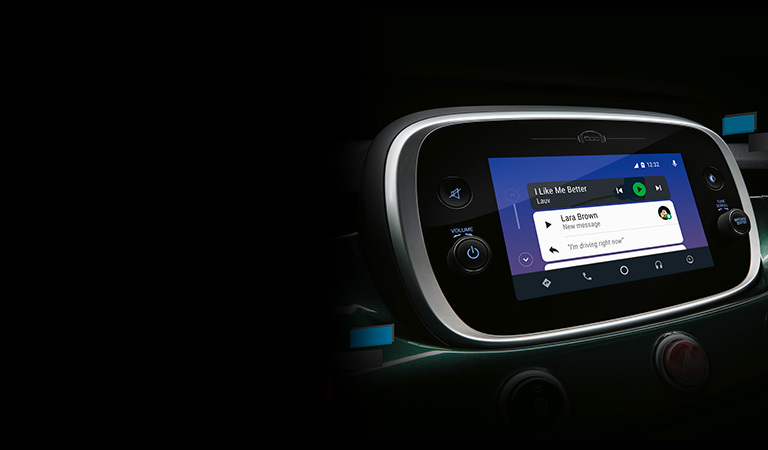 In addition, state of the art features like touch sensor passive entry, engine stop/start button, audio system with 8-speaker surround sound and Bluetooth® connectivity all feature controls that are effortless to reach and simple to use. The D-MAX offers all of the luxury appointments expected in modern vehicles. * * * Hi-Lander 3.0 (lifted 4×2), trim style became available in late 2003, and ground clearance equals that of the 4×4 models. There are only two cab styles to choose between. This makes Isuzu the third manufacturer in Thailand to begin selling lifted 4×2 pickups (after Toyota and Ford). * * * During the first quarter of 2005, a 2.5 4JK1-TC 116 PS (85 kW; 114 hp), the second DDi iTEQ engine, was introduced and offered as economical choice to replace its aging predecessor (4JA1-T was concurrently available for that year only). A mid-cycle refresh brought many models fitted with a new front bumper that incorporated an “instant spoiler” underneath, 4×4 models and Hi-Lander’s suspensions were raised up 25 millimeters extra. * * * In 2007, Isuzu celebrated its 50th anniversary in Thailand with “Gold Series” models sold for the 2008 model year. The Hi-Lander Cab4 model with the VGS turbodiesel engine became available for the first time. The 4×4 models get a new front bumper design with chrome accents. Also added was the choice of a 2.5l 4-cylinder engine in LS 4×4 and Hi-Lander models. * * * In the early fourth quarter of 2008, Isuzu introduced D-Max Platinum models for 2009 to replace the outgoing Gold Series. LS 4×4 and Hi-Lander received new fascia; chrome on LS 4×4 and semi platinum-silver on Hi-Lander. Minor-modified headlamps and new fog lamps for platinum look. 4×2 SLX and SX derived fascias from 4×4/Hi-Lander (before Platinum’s fascia). Chrome fascia for 3.0 SLX models and color-keyed fascia for SX. Top heads of 3 DDi iTEQ engines changed from gold to platinum. Some models dropped 4JJ1-TC 3.0l engine. All retooled to be acceptable with Biodiesel B5. All SpaceCab models featured new middle pillars called Safety Pillar Cab; pillars and door beams larger and thicker. Not all Cab4 models received retooled rear suspension called Super Flex Plus suspension. Spark EX also received new gauge and indicator. D-Max Platinum models commenced on sale from 15 October. * * * In the middle of September 2009, Isuzu introduced the D-Max Super Platinum models. SL model was dropped. Highline SLX 4×2 models received same fascia and front bumper as Hi-Lander / LS 4×4 style, new 16″ wheels and newer styles of alloy wheels for SLX / Hi-Lander / LS 4×4, newer rear bumper, and new “Super Platinum” marque at tailgate. LS 4×4 models received skid plate attached under bumper in brighter silver, newer side step. Highline Hi Lander / LS 4×4 models have newer style blind spot rear view mirrors, and new short-plot antenna. Every year since late 2005 until now, there are several special D-Max & MU-7 models. Available exclusively only for a period during Thailand’s 2 largest auto shows and also other special Isuzu occasions. They were all unique yet never the same in each presentation. D-Max Smart models are such one remarkably special model set. Available in several occasions during 2008. This edition modifies SpaceCab 4×2 2.5 by special white pearl exterior color and optional equipment such as immobilizer key. * * * Ever since Platinum models introduced, D-Max Smart models expanded up to 3 choices: SpaceCab 4×2, Cab4 4×2 and Hi-Lander 2-Door. These 3 models also updated as new Super Platinum models. In 2009, a sport version of the D-Max named the X-Series was introduced, aimed especially for a target group of young people normally not interested in using pickup trucks. It was marketed as a “Lifestyle Pickup” and equipped with additional skirts and prominent red Isuzu letters at front grille. The wheels remain unchanged from normal model but came with gunmetal paint finish. Available in two-door SpaceCab and four-door Cab4 body variants with manual transmission. * * * In April 2011, MU-7 “Choiz” are revealed at Bangkok Motor Show, with new alloy wheels and small changing of interior. In Australia and New Zealand, the D-Max was sold as the third generation Holden Rodeo (RA) between 2003 and 2008, before being facelifted into the form of the Holden Colorado. This was a result of the GM-Isuzu split resulting in GM losing the right to use the “Rodeo” name. As with Rodeo, Colorado is available as either two- or four-wheel drive and in a range of body styles including single cab, space cab and crew cab. Power is provided by a range of petrol and diesel engines. Of the petrol engines, Holden offers a 2.4-litre four-cylinder as well as the Australian-made 3.6-litre Alloytec engine. The diesel powerplant is a four-cylinder Isuzu 4JJ1 unit displacing 3.0 litres. The main difference between the Colorado and the Rodeo is the revised body work from the A-pillar forward. In the third quarter of 2006, the D-Max received a minor redesign and the introduction of a third DDi iTEQ engine, 3.0 4JJ1-TCX. This engine is a modified 4JJ1-TC, incorporating a new Variable Valve Geometry Turbo (VGS). The extra power warranted an introduction of new transmissions as well: the MUX 5-Speed manual and MaxMatic-III automatic transmission. All models equipped with Xenon headlamps were changed to projector headlamps instead. Also introduced was the new “Hexapod-plot” interior. Other DDi iTEQ engines were also tweaked a bit for extra power and efficiency. Julie Beamer, director of GM Chile, announced on 5 March 2008 to workers of the only remaining automobile factory in Chile, that said factory would be closed down on 31 July that year. The only vehicle that was in production at the time was the Chevrolet D-Max. The announcement came shortly after then-president of Venezuela Hugo Chávez reduced the import quota for cars in Venezuela, the main export market for the Chilean-made Chevrolet D-Max, but GM Chile said in its official statement that the reason behind the end of production in Arica was the lack of favorable conditions for vehicle manufacturing in Chile and fierce competition from many other car manufacturers and countries on Chile’s car market. Late first quarter of 2008, Chevrolet also introduced Colorado 4×2 2.5 with diesel dual fuel system via CNG tank. Switchable between diesel (65) and compressed natural gas (35) as the divided aspect (65:35); moreover also can use diesel purely as well. Biodiesel B5 is also acceptable. Location of tank is on the bed behind cab. Available for two cab styles. 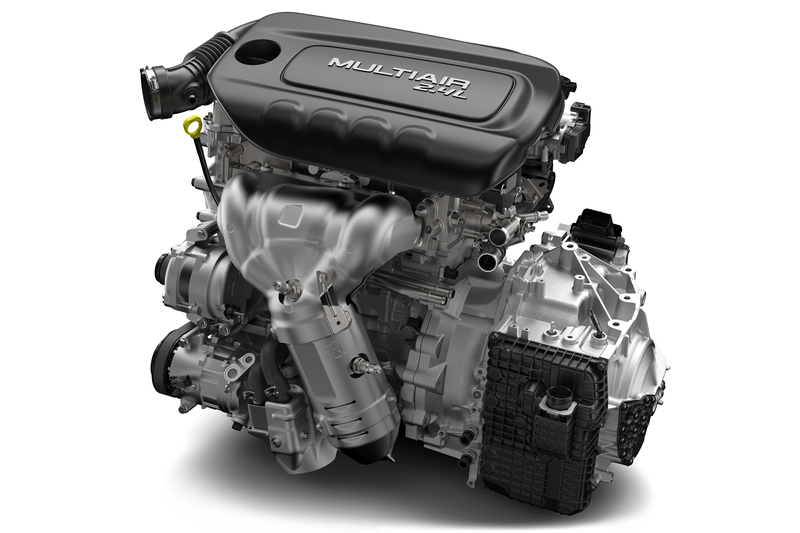 On 9 September 2011, General Motors (Thailand) opened the diesel engine manufacture plant, to make the “Duramax” engine, as the VM Motori rebadge engine (same as old 2-liter diesel Captiva) with 2.5- or 2.8-liter, manual and automatic, 2WD or 4WD. New 2012 Isuzu D-MAX Pickup Truck is the Chevy Colorado’s Asian Twin. Dmax uses Isuzu’s own engine and drivetrain. Isuzu’s iTEQ engine has been retained but has been tuned up. 2500 cc engine now comes in two configurations; normal turbo 87 kW power with 280Nm of torque and 101 kW of power and VGS Turbo with 320Nm of torque. If you want more power you can opt for four-cylinder 3000 cc 4JJ1-TC iTEQ common-rail diesel engine with VGS Turbo which now has the power of 132 kW with 380Nm of torque. Engines performance have been upgraded with Variable geometry turbocharger (VGS Turbo) and Isuzu Dmax’s engines pass Euro V emission standard. 2012 Dmax still comes with 5-speed manual but has unvelied new 5-speed “Rev-Tronic” automatic transmission with sport mode (2011 model had 4 speed automatic transmission). 4WD models have been renamed from “Rodeo” to “V-Cross”, and transfer case has been renamed from “Touch-on-the-fly” button to new “Terrain command” system that uses spin system to allow for seamless changing of drive modes from 4-Wheel to 2-Wheel Drive mode. Isuzu front suspension made up of independent double wishbone with coil-spring setup and a rear suspension made up of over slung leaf-springs installed above a special long span rear axle make for a comfortable driving experience. Ecuador is the only country where this generation D-Max is available with a gasoline engine, an Opel-based C24 with 16 valves and double overhead camshafts supplied from Brazil where the lower-grade versions of the Chevrolet S10 still rely on a flex-fuel 8-valve SOHC version which also served as a basis for the Vortec 2400 industrial engine. Isuzu new rugged ladder-frame chassis platform dubbed “i-GRIP” (Isuzu Gravity Responsive Intelligent Platform) underpinning the new D-Max makes 42% stronger than its predecessors leading to improved ride and handling. The frame includes improved cross bracing at the rear, improving stability under loads and while towing, while also “ensuring long-term durability when used regularly in harsh environments”. Longer wheelbase of 3095mm – 45mm longer than before – is now standard on all three body styles. This is good news for double cab users as rear riders not only get more leg space but also more comfortable seats. D-Max would continue to be offered in all three body styles: Single Cab, Space Cab and Crew Cab. Customers will also continue to have a choice of rear-wheel drive 4×2 and four-wheel drive 4×4 models. Space Extra Cab has laterally opening door to give easier access to the rear seat. Isuzu D-Max has an advanced safety package, with features including high-tensile steel, electronic stability control ESC, traction control (TCS), ABS, emergency brake assist, a number of airbags and Electronic brakeforce distribution EBD. EBD detects the payload weight and modulates the rear braking force to compensate. In ESC fitted models ABS now goes to 4-channel 4-sensor type instead of the current 3-channel 4-sensor. The D-Max gets more storage spaces. Isuzu Entertainment System includes eight speaker comprising two large 6 x 9-inch front speakers and a roof-mounted Exciter speaker sound system replete with surround sound in the newly designed dash along with ‘iGENIE’ navigation system which include support for real-time traffic reports, and is equipped with standard Bluetooth and portable music player connectivity. It also comes with comfortable Flex-Ride suspension system; 2-DIN audio-video head unit with navigation-ready system; projector-type headlamps that provide 14% more illumination than their ordinary counterparts; side-impact steel beams; and rear camera and sensor. In December 2013 model year 2014 D-Max minorchange was launched with the sub name call “D-Max Super Daylight“, changes in the exterior include Daytime running lamp replacing the fog lamp and updated the rear lamp in L, Z and Z-Prestige model. Models line-up are : B, S, L, Z and Z Prestige. In 2015, The facelifted model was introduced in Thailand, factory codename RT85. The front fascia was changed with larger grille and new engine “RZ4E-TC” 1.9L debuted and permanently replaced the 2.5L from the old model. Interior remained unchanged from the old model except for some changes including newer 8″ inch infotainment system, newer TFT gauges, and cruise control. In December 2012 D-Max in Thailand was launched Special model “X-Series” that look Sport Pickup available in three model SpaceCab Z model was called Speed model, Hi-Lander 2-door in Z model and Hi-Lander 4-door in Z-Prestige model. Exterior were decoration with strip line on body, the plate logo are in red color, piano-black front grille, skirt around body and black alloy wheel. Interior were change the color to black and red cloth and leather in Z-Prestige model and the Isuzu logo on steering wheel was changed to red color. Exterior color are only 2 type in black and white. In June 2014 was launched new red exterior color in D-Max X-Series Speed model also called “Speed in Red” with Limited Edition only 300 units. In the Philippines, the second generation was launched in September 2013. Isuzu’s plans for production will be temporarily in Thailand, and by October, the new D-Max are produced at Binan plant. In October 2017, Isuzu Philippines has unveiled the 3.0 TD “Blue Power” diesel engine, along with MU-X. The second generation Isuzu D-Max was launched in Malaysia in May 2013. A facelift was launched in October 2016 and minor updates occurring in February 2018. Multiple limited editions have been launched for the second generation Isuzu D-Max in Malaysia. The limited editions are the “X-Series” from November 2013 limited to 300 units, the “Artic” from September 2014 limited to 510 units and the “Beast” from May 2016 limited to 360 units. In UK, range are Single Cab, Extended Cab, Double Cab, Double Cab Eiger, Double Cab Yukon and Double Cab Utah and all except Single Cab use 4×4 powertrain as standard and featuring standard features like, 6 Airbags, Stability control, Daytime running lights, Rev counter, Air conditioning, Front electric windows and Immobilizer and pricing start from GBP14,499 on the road in 4×2 single cab to GBP21,499 on the road in 4×4 double cab Utah with automatic. In Turkey, available only in single cab (only one model in range) and double cab body and double cab range is HT (4×2 manual), T (4×4 manual), Limited (4×2 and 4×4 manual) and V-Cross (4×4 automatic), pricing start from 48,700 TL to 76,700 TL. SEOUL, JAN. 21, 2019 ─ Hyundai Motor Group announced the development and future commercialization of the world’s first multi-collision airbag system that significantly improves airbag performance in multi-collision accidents. Multi-collision accidents are those in which the primary impact is followed by collisions with secondary objects, such as trees, electrical posts or other vehicles, which occurs in three out of every 10 accidents. * * * *Source: NASS (National Automotive Sampling System)/CDS (Crashworthiness Data System). – The National Automotive Sampling System (NASS) Crashworthiness Data System (CDS) is a nationwide crash data collection program sponsored by the U.S. Department of Transportation. It is operated by the National Center for Statistics and Analysis (NCSA) of the National Highway Traffic Safety Administration (NHTSA). The F-150 is engineered Built Ford Tough® to make hard tasks look easy, whether it’s working on the job or heading out on a weekend of recreation. In fact, the F-150 outperforms every other truck in its class when hauling cargo in the bed or towing a trailer. * No wonder the competition is always in a scramble to follow the leader. The Ford F-150 makes tough tasks look easy, whether it’s working on the job or heading out on a weekend of recreation. F-150 outperforms every other truck in its class when hauling cargo in the bed or towing a trailer. * No wonder the competition is always in a scramble to follow the leader. The Ford F-150 makes tough tasks look easy, whether you’re working on the job or heading out on a weekend of recreation. F-150 outperforms every other truck in its class when hauling cargo in the bed or towing a trailer. * F-150 is ahead when it comes to making your life easy as well, with features available on no other half-ton pickup. * Among them: the innovative available Pro Trailer Backup Assist™ and deployable box side steps. It’s no wonder, when it comes to capability and utility, the competition is always in a scramble to follow the leader, the Ford F-150. *Max payload on F-150 XL Regular Cab, 8′ box, 5.0L V8 4×2, Heavy-Duty Payload Package and 18″ heavy-duty wheels (not shown). Max towing on F-150 XL SuperCrew®, 6.5′ box, 3.5L EcoBoost® 4×2, and Max Trailer Tow Package (not shown). Class is Full-Size Pickups under 8,500 lbs. GVWR based on Ford segmentation. **Max towing on F-150 XL SuperCrew®, 6.5′ box, 3.5L EcoBoost® 4×2 and Max Trailer Tow Package (not shown). Max towing on F-150 LARIAT SuperCab or SuperCrew®, 6.5’ box, 3.0L Power Stroke Diesel 4×2, Trailer Tow Package and 3.55 rear axle (not shown). Reducing weight is an effective way to increase payload. And that’s a huge benefit of the F-150 body and bed built of lightweight and high-strength, military-grade aluminum alloy. What results is a best-in-class* payload rating in F-150 models powered by the legendary Ford 5.0L V8. The 5.0L features the Ford port-fuel and direct-injection (PFDI) system with two injectors per cylinder — one in the air intake port, another inside the cylinder — to improve power and efficiency. Impressive power ratings are 395 horsepower and 400 lb.-ft. of torque. *Max payload on F-150 XL Regular Cab, 8′ box, 5.0L V8 4×2, Heavy-Duty Payload Package and 18″ heavy-duty wheels (not shown). Class is Full-Size Pickups under 8,500 lbs. GVWR based on Ford segmentation. Backing up a trailer involves navigating two vehicles at the same time — the truck going one way and the trailer going in the opposite direction. Whether you’re a novice or a seasoned pro at this often tricky maneuver, the available class-exclusive* Pro Trailer Backup Assist™ makes it as easy as turning a knob. ** Simply rotate the knob left or right in the direction you want the trailer to go. F-150 is the first pickup to offer this breakthrough feature. The F-150 provides lots of places to store the assortment of things you carry inside the cab. Stow items in the door-trim panel bins and the glove box. There’s space for a laptop inside the available flow-through center console. And the SuperCab and SuperCrew® models feature a fully flat rear load floor with under-seat storage. Optional LED lighting is available virtually anywhere you need it. 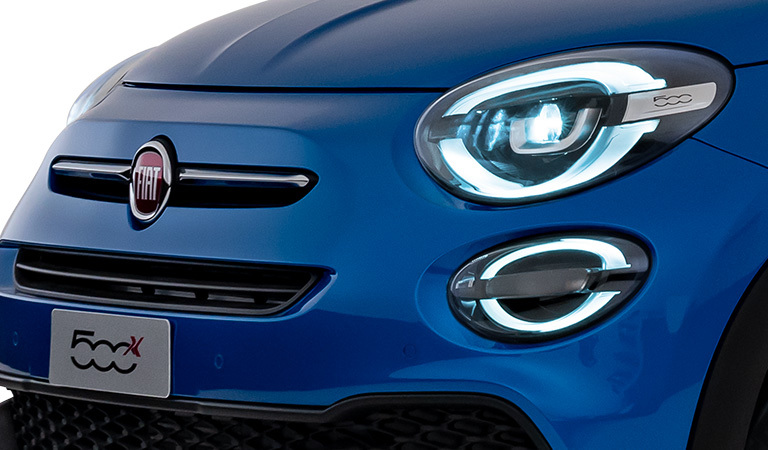 Quad-beam LED headlamps provide bright, efficient and long-lasting illumination. Class-exclusive* LED side-mirror spotlights illuminate any task at hand from just about any angle after the sun has set. LED box lighting helps you work at night and lets you see under a tonneau cover. LED trailer hitch light on the tailgate handle is included with the trailer tow packages and helps with hitching up to a trailer at night. Your F-150 is built to work hard. But that doesn’t mean you have to. That’s why the F-150 is designed to be easy to operate, whether you’re inside the cab or working out of the pickup bed. F-Series offers a broad range of features such as the available 8″ Productivity Screen, 360-degree Camera with Split-View Display, and FordPass™ Connect. So you can work smarter, more productively. What’s more, F-150 offers driver-assist technologies to help make life on the road more reassuring. The available 8″ LCD productivity screen provides useful information from fuel economy to towing data, all right in front of you on the instrument cluster. 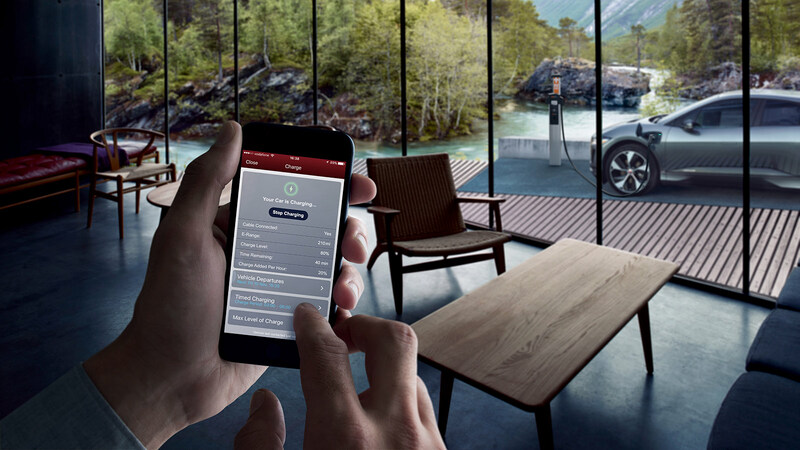 You can create a customized home screen using four menu options — Trip/Fuel, Truck Info, Towing, Off-Road — and access your most frequently used screens in one place. Standard in F-150 LARIAT, King Ranch® , Platinum and Limited. The available 360-Degree Camera with Split-View Display* uses four cameras – one in the grille, tailgate, and under each of the sideview mirrors. The system enables you to see all sides of the truck by stitching the images together and displaying them on a center stack screen. It’s useful when maneuvering in tight spaces and on trails. Also helpful is the included dynamic hitch assist feature that provides a sight line to help direct your hitch ball to the trailer receiver. Available BLIS® (Blind Spot Information System)* signals you in the outside mirror when a vehicle is detected in a blind spot — and provides coverage for the truck you’re driving as well as the trailer you’re towing. The cross-traffic alert feature can detect a vehicle passing behind when you’re slowly backing out of a driveway or parking place. The Ford F-150 offers technologies to assist you in unexpected situations: (1) Pre-Collision Assist with Automatic Emergency Braking* scans the road ahead. When a potential collision is detected, you get a visual warning on the windshield as well as an audible alert. And the brakes precharge and increase sensitivity to provide full responsiveness when you brake. If corrective action is not taken and a collision becomes imminent, the brakes can apply automatically. (2) Lane-Keeping System** vibrates the steering wheel or gives torque sensations, or both if you choose, when you drift too close to a lane marker. **Driver-assist features are supplemental and do not replace the driver’s attention, judgment and need to control the vehicle. Lane-Keeping System does not control steering. The competition isn’t catching up to the Ford F-150 anytime soon — and may never. That’s because the F-150 sets the high standards for light-duty full-size pickups with its lightweight, high-strength military-grade, aluminum-alloy body and bed. This is not aluminum in the household sense, but heat-treated and hardened aluminum alloy — the same high-grade 6000 series used in military and industrial applications. The results? Best-in-class payload and towing. * A mighty hard performance to follow. The Ford F-150 has the only high-strength, military-grade, aluminum-alloy body in its class. * A heat-treating process is used to harden the aluminum alloy. Working with aluminum alloy allows an increase in gauge (or thickness) where needed to achieve strength without increasing weight. The lighter aluminum-alloy body and bed produce a higher power-to-weight ratio — plus maximum payload and tow ratings that are best in class. * Yet another benefit — resistance to dents. *Max payload on F-150 XL Regular Cab, 8’ box, 5.0L V8 4×2, Heavy-Duty Payload Package and 18″ heavy-duty wheels (not shown). Max towing on F-150 XL SuperCrew® , 6.5’ box, 3.5L EcoBoost® 4×2, and Max Trailer Tow Package (not shown). Class is Full-Size Pickups under 8,500 lbs. GVWR based on Ford segmentation. F-150 offers not only best-in-class payload* but also a pickup bed that can be equipped to make work easier and maximize productivity. Available features include: Flexible, configurable BoxLink™ system. LED box lights. Stowable loading ramps. Integrated tailgate step with lift assist. Remote tailgate release (lock or unlock and lower the tailgate). Class-exclusive* deployable box side steps available on all cab configurations, including the SuperCrew® with 5.5-ft. pickup box. Heavy-Duty Payload Package. *Max payload on F-150 XL Regular Cab, 8′ box, 5.0L 4×2, Heavy-Duty Payload Package and 18″ heavy duty wheels (not shown). Class is Full-Size Pickups under 8,500 lbs. GVWR based on Ford segmentation. 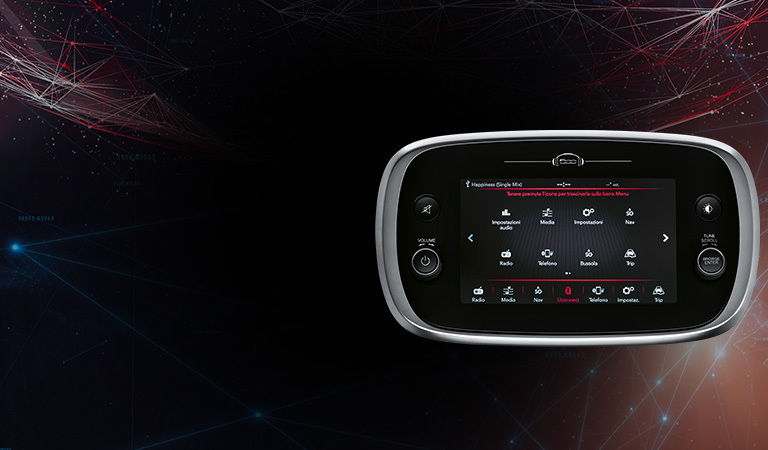 Shifting into four-wheel drive is as easy as turning a dial with the electronic shift-on-the-fly (ESOF) system. 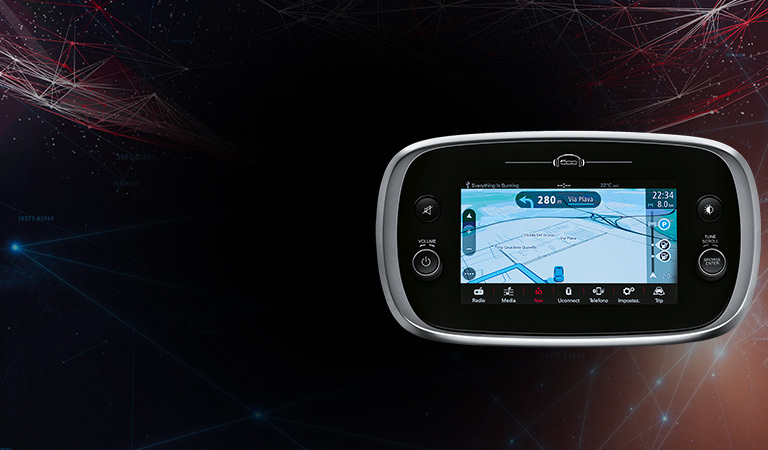 ESOF lets you choose two four-wheel-drive modes (4×4 low or high) as well as two-wheel drive. LARIAT, King Ranch® , Limited, Platinum and Raptor models also include automatic 4WD mode. The FX4 Off-Road Package includes electronic-locking rear differential (locks the rear axle completely for enhanced traction at both wheels), Hill Descent Control™, off-road tuned shock absorbers, skid plates, and “FX4 Off-Road” decal. Plus, the available 360-degree camera with split-view display is helpful when you’re maneuvering in tight spaces and on off-road trails. The F-150 Raptor is outfitted with class-exclusive* FOX Live Valve monotube shocks featuring internal bypass technology to deliver superior control and maximize your off-road experience. These monotube shocks have an electronic solenoid valve engineered to provide continuously variable compression damping, so they can automatically adjust to the constantly changing conditions of demanding off-road terrain. F-150 offers a six-engine lineup covering three configurations: naturally aspirated V6 and V8 gas powerplants with advanced twin-independent variable cam timing, turbocharged and direct-injected gas EcoBoost® V6 engines, and 3.0L Power Stroke® Turbo Diesel. Whether you drive an F-150 for work or recreation, there’s an engine delivering the performance that’s just right for you. How can an engine displacing just 2.7 liters deliver a robust 325 horsepower and 400 lb.-ft. of torque? Engineer it with the Ford port-fuel and direct-injection (PFDI) system with two injectors per cylinder, dual overhead cam design with variable intake/exhaust cam timing, plus twin intercooled turbochargers for on-demand power. And the 2.7L EcoBoost® with 10-speed transmission is strong. Its upper block and cylinders are made of the same high-strength compacted graphite iron used in the Super Duty® 6.7L Power Stroke® Turbo Diesel. The 3.5L EcoBoost® with 10-speed transmission boasts impressive power ratings of 375 horsepower and best-in-class* 470 lb.-ft. of torque, beating out all gas and diesel competitors. This engine delivers the F-150 best-in-class* tow rating too. Features include the Ford port-fuel and direct-injection (PFDI) system with two injectors per cylinder — one in the air intake port, another inside the cylinder — to increase performance. Plus twin intercooled turbos for on-demand power with virtually no lag. The Baja-bred F-150 Raptor is perfectly at home on a typical paved road. But going from mild to wild on the most unforgiving terrain – now we’re in territory where the Raptor excels with its extraordinary capability, beginning with raw power. Under the unique Raptor hood is the 24-valve, 3.5L twin-turbo HO EcoBoost® with Ford port-fuel and direct-injection (PFDI) system and 10-speed automatic, generating a massive best-in-class* 450 horsepower and 510 lb.-ft. of torque. And now, this high-output EcoBoost is the standard engine for luxury travel in the top-of-the-line F-150 Limited. *Max towing on F-150 LARIAT SuperCab or SuperCrew®, 6.5′ box, 3.0L Power Stroke® Diesel 4×2, Trailer Tow Package and 3.55 rear axle. Max payload on F-150 LARIAT SuperCab, 6.5′ box, 3.0L Power Stroke Diesel 4×2. EPA-estimated rating of 22 City/30 Highway/25 Combined MPG, 3.0L Power Stroke Diesel 4×2. Your mileage will vary. Class is Full-Size Pickups under 8,500 lbs. GVWR based on Ford segmentation. Information is provided on an “as is” basis and could include technical, typographical or other errors. Ford makes no warranties, representations, or guarantees of any kind, express or implied, including but not limited to, accuracy, currency, or completeness, the operation of the Site, the information, materials, content, availability, and products. Ford reserves the right to change product specifications, pricing and equipment at any time without incurring obligations. Your Ford dealer is the best source of the most up-to-date information on Ford vehicles. * * * It is beautiful outside and comfortable inside. 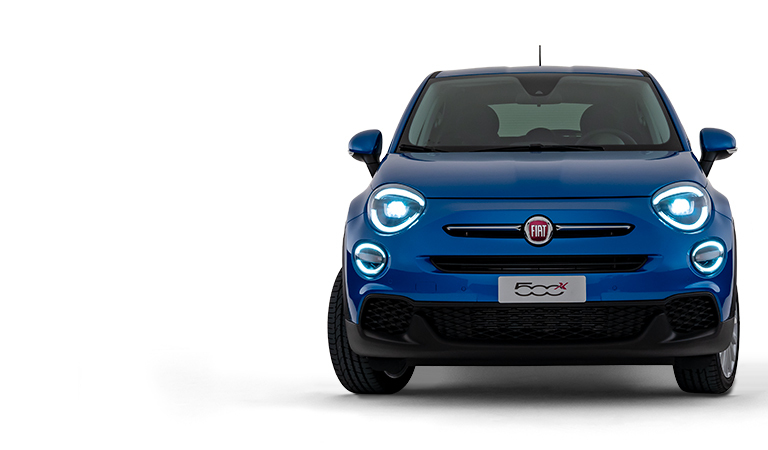 Choosing the best profile of 500X Urban is not easy. 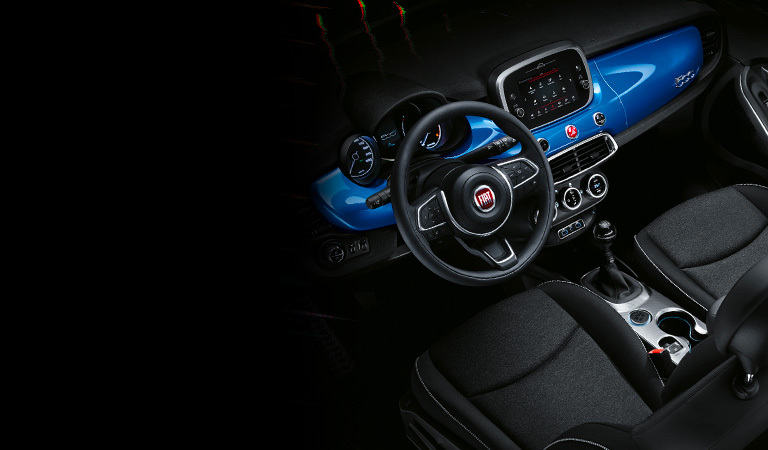 Refreshed interiors with techno leather details on seats, matching body colour dashboard and the unmistakable 500 logo like the artist’s signature on a masterpiece. All materials and all pairing are created to offer the best style. (TOYOTA CITY, JAPAN, Feb. 9, 2018)―Created in honor of Toyota‘s shift to a mobility company and its eight-year worldwide partnership with The International Olympic and Paralympic Committees, “Start Your Impossible,” Toyota’s first-ever global marketing campaign, will roll out in 27 countries at the start of and through the Olympic and Paralympic Winter Games PyeongChang 2018. “Frozen”Showcasing iconic moments in Olympic and Paralympic history, “Frozen” aims to further spark the conversation on global warming and the imminent impact that it may have on the beauty, hope and heroes of the Olympic and Paralympic Winter Games. “Thin Ice”The human spirit is powerful and irrepressible. Where obstacles appear, exceptional people are ready to face the hurdles. American Olympic figure skater and medalist, Ashley Wagner returns to the ice with the idea that every day is a chance to dance, to move and to float across the ice. “Lanes of Life” an optimistic celebration of life’s journey for six Olympic snowboardersEva Samková (Czech Republic), Lindsey Jacobellis (USA), Belle Brockhoff (Australia), Chloé Trespeuch (France), Carle Brenneman (Canada), and Isabel Clark Ribeiro (Brazil). “Dreams”The smallest mistake could change an athlete’s dream, so could a small mistake on the road. “Dreams” showcases Toyota’s Guardian technology to coach you on the road. “Magic”Toyota’s Human Support Robot helps a bedridden young boy. “Runner”A man outruns pain, fear and doubt to take the most difficult step of his life. “Join the Team”Dedicated to pure celebration of going after what we strive for, an ordinary boy has his moment as an Olympian realizing that with persistence he can soar. Toyota will also run previously released spots including the :60 “Good Odds” highlighting the real-life story of Canadian Para alpine skier Lauren Woolstencroft, who overcame tremendous odds to become a legendary Paralympic gold medalist and the :60-second “Mobility Anthem” featuring mobility stories of individuals, ages 1 to 100, celebrating Toyota’s efforts to make movement better for everyone.